SnapCacklePop: SnapCacklePop Interview... Annah Mac..! When we search for the best pop music we look everywhere, from Canada to Cyprus, Norway to New Zealand and it's from the latter where we came across Annah Mac. We found her latest single Girl In Stilettos late last year and fell in love with it from that unique opening beat and have been listening to it ever since! 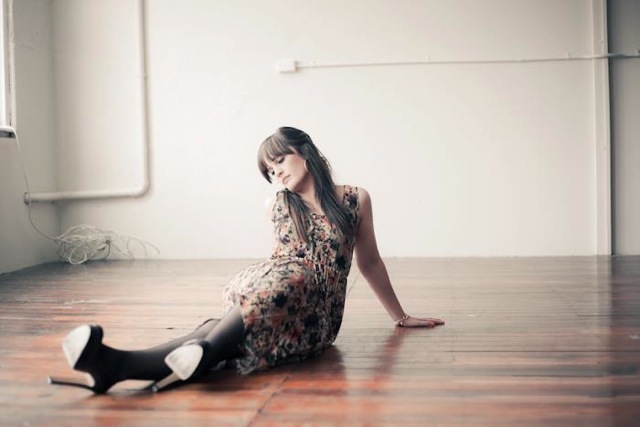 The song has been a bit hit in her home country and we got in contact with Annah to ask her about her music and the making of the video for Girl In Stilettos. Back in November we fell in love with your new single Girl In Stilettos and it's done incredibly well in your home market - double platinum now - how proud are you of this single? I'm very proud, it's been an exciting time for myself and the team! 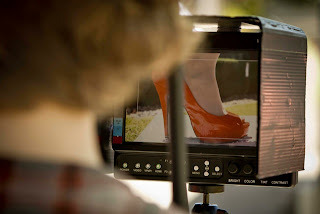 We're about to show our readers your new video for Girl In Stilettos - the lawn bowls theme will go down well with Aussies too - was this your idea? I wish it was but no, the lawn bowls theme came from the director of the video clip, Florence Noble. She's brilliant. Have you ever played lawn bowls? Before or after the video? I spent a whole day playing lawn bowls with the Hillsborough bowling club during the making of the clip. So when can we expect to see you launch yourself onto the Australian market? All focus is on NZ for now but I would love to head over soon. Should we expect to see a tour soon? I'm very excited to be headlining my first tour on home soil this April hitting all the major cities across NZ. Can you tell us a bit about your new album Little Stranger and what we can expect from it when it launches here? The album is full of honest lyrics and music with a clean and vibrant sound. Can you tell us about the title of the album? Are you a big snow white and the seven dwarfs fan? I love Walt Disney but no that's not where the name came from haha. It's the Maori translation of my favourite NZ native bird The Silver Eye. I named my album after the bird for good luck. Everybody, I'm listening to Aloe Black at the moment and my boyfriend has introduced me to Hopsin who I also really like. Where do you get the inspiration for your own music? Personal experience, people, books, television. Everything. Which Australian artist would you love to work with? Some might say it's the fame, some the song writing, or maybe the live performances - what's your favourite part of being a recording artist? Being in the studio and creating. If you didn't follow your musical roots which job would you love to do? A hands on job of some kind, probably a trade. 1) Do you ever write your music in the bathroom? 2) Marmite or Vegemite?... & how would you describe the taste to a foreigner? I think they're both pretty good, marmites a bit more intense in flavour.. I always tell foreigners how amazing it is. Then I watch them eat it..
3) What's one trashy pop song that you secretly love? 4) Did you fall over walking onto the bowling green in your stilettos? No I didn't dare! There was a wooden plank jungle and 2 people on either side of it as I delicately made one (and only one) small dint on that beautiful lawn. It was a very technical process. 5) What's your guilty pleasure? 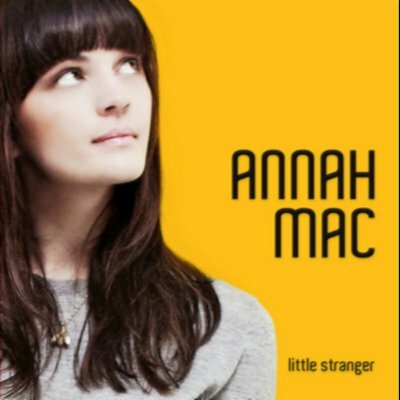 Annah's album Little Strangers is out now on iTunes - have a watch of her latest video Girl In Stilettos here now..!